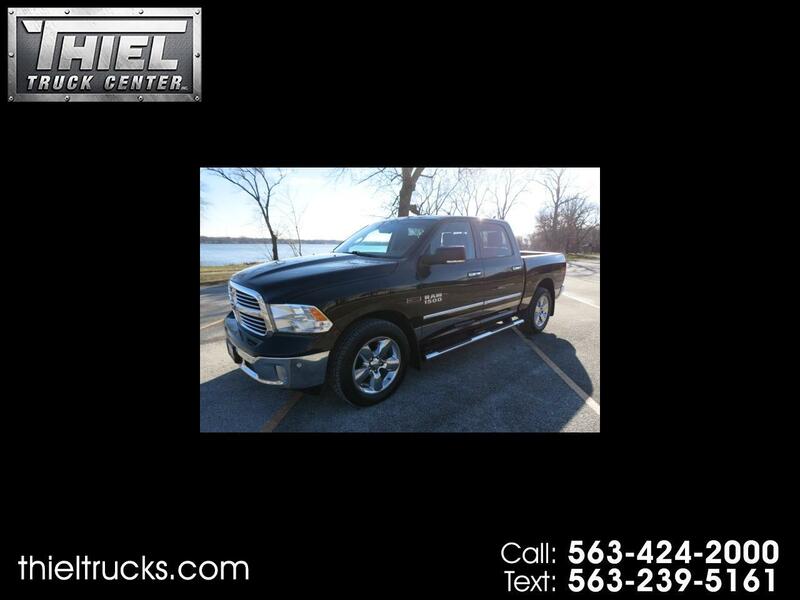 ****** ECO DIESEL ENGINE **** SUPER CLEAN ** FULLY LOADED *** Here is a Super nice 2015 Ram 1500 Crew Cab 4x4 Big Horn with the 3.0L Eco-Diesel engine known to get over 25 miles per gallon. This Ram is decked out with options including Power seat, Bucket seats, Heated seats, Heated steering wheel, Tow package, Trailer brake controller, Navigation, Back up camera, 20 Inch wheels, Power sliding rear window, and much more. This Ram is also a Carfax Certified 1 owner and 100% Accident free. We just had this truck fully serviced including all new tires. Here is your chance to buy a decked out crew cab 4x4 Diesel truck at a bargain price. We have this one priced over $3000 below NADA book value. You will not find a better deal anywhere. Call or Text us now before this one if gone.